This is to inform you about Anton Praetorius, protestant fighter against the persecution of witches and against torture. Anton Praetorius was born in 1560 in Lippstadt / Westphalia in Germany. He studied theology and became principal of the humanistic Latin school in Kamen/ Westphalia. Here Praetorius got married, but he lost his wife Maria by the plague. In 1597 he was appointed as protestant pastor to the Earl of Büdingen/ Ysenburg (near Frankfurt / Main) and had to witness the torture of 4 women accused of witchcraft. According to the court records Praetorius got so affected by the torture that he protested violently and succeeded in stopping the trial against the last surviving woman. As a consequence Anton Praetorius was dismissed by the Earl. 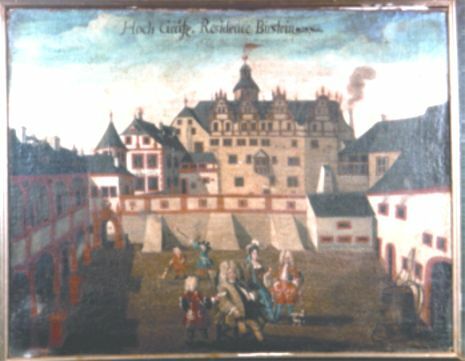 In his new parochy in Laudenbach/ Bergstrasse (near Heidelberg) he wrote the book "Gründlicher Bericht über Zauberey und Zauberer" [Thorough Report about Witchcraft and Witches] to protest against torture and the prosecution of witches. At first he published the book in 1598 under an assumed name ("Johannes Scultetus"). In 1602 he dared to publish it under his own name. The book was published again in 1613 and postumously in 1629. Praetorius died in 1613. The books are written in German. They can be ordered from the author and are sent with an invoice. Prices in Euro plus postage. index of names and places, bibliography and numerous references. Image Vas Heidelbergense (Poem on the 1. Great Wine Barrel in the Castle of Heidelberg). 1. Much has been written about the origins of witchcraft and about the impact of the book malleus maleficarum (1487) on the persecution of witches. It is not widely known, though, that persecution of witches took place in protestant as well as in catholic areas in Middle Europe. The reformers of the Church Luther and Calvin propagated this persecution according to the words of the bible Exodus 22.18: "Thou shalt not suffer a witch to live". Sermons were held calling for the hunting down of witches. But it was not only the Church which demanded trials against witches. At that time there was a widely accepted accordance (??) 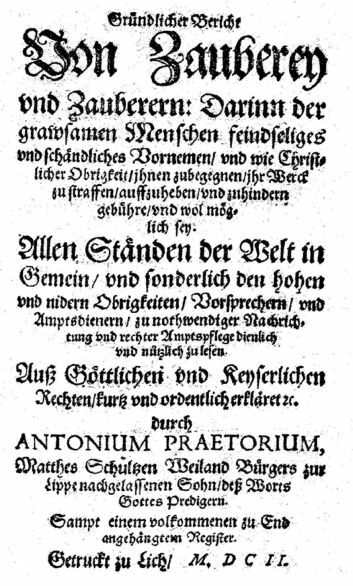 agreement between all legal and social institutions and the common people about the necessity of persecuting and torturing devil worshippers as observed in the contemporary witness of Loeher (in Rheinbach near Bonn 1640). 2. Individual Christians at that time protested against the persecution (Weyer, Praetorius, Spee, Meyfart). Over the centuries the protests of the Protestants have been forgotten, while the testimony of the catholic Spee has been kept alive. 3. During the period of the Enlightenment it was one of the main aims of historians to make a contribution to putting an end to the controversy regarding the trials.??? Blame for the persecution of witches was put on the Churches. 4. The period of Romanticism put the emphasis on the Germanic roots of witchcraft. Witches were seen as being "wise women" with a knowledge of herbs for medical purposes. 5. Soldan-Heppe´s publication "History of Witchcraft Trials" (1843) made a big impact on the awareness of academics about the dimensions of the persecutions and put the blame on the Churches for a long time to come. 6. During the period of National Socialism a fierce controversy on witchcraft raged in Germany. Nazi demagogue Rosenberg accused the Catholic Church of importing the belief in witchcraft from oriental / Jewish sources. The Catholic Church tried to give evidence that witchcraft was genuinely Germanic. Himmler´s SS prepared an elaborate documentation on the witchcraft trials in order to discredit the Churches. After the sharp controversy during the Nazi period it is not surprising that Church historians in Germany rather tend to avoid this topic. The Church history of Heussi (1907) for example, which was widely used by students of theology, mentioned the persecution of witches in three sentences only. It said: The prevalence of superstition (delusion of witchcraft) was very destructive for church life. The German Lutherans with their ´reckless faith in God` played an important part in the recovery of the social conditions. 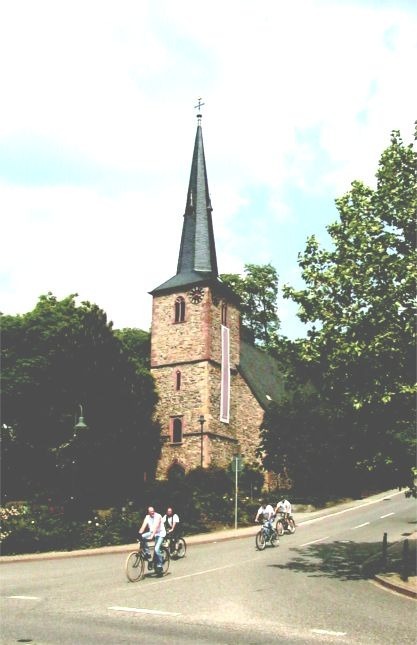 There are Christian groups in Germany like the ecumenical initiative Jeanne d´Arc in Berlin which demand that the Churches clarify their position. Since 1792, when the last execution of a witch took place in Switzerland, no Church in Europe has issued an official statement on the witch-hunts. Only in 1997 the synod of the Lutheran Church in Bavaria passed an elaborate declaration (120 pages) of repentance for the responsibility of protestant influence on the witch-hunt in Bavaria. In 2001 the synod of the Protestant Church of Westphalia declared its intention to work out a similar statement. In the necessary striving for the protection of the truth there have been individual men of the Church who have sometimes made use of methods which were not in accordance with the gospel. The Pope mentioned neither the words "heretics" and "witches" nor the victims of the persecutions. Therefore the Mea Culpa has rather been a disappointment for many who had hoped for a clear word of apology for the involvement of the Church in the persecution of minorities and of witches. A whole hearted statement is expected from the Churches as social institutions with special moral obligations. 9. The Ecumenical Decade to Overcome Violence of the World Council of Churches (2001 - 2010) is calling for the churches to "repent for our complicity in violence". This is a particular challenge for the Churches especially in Germany to come to terms with the past. It is just not enough to concentrate on developing visions of a future Church. A large majority of the people are convinced that it was the Church itself which conducted the persecution of witches. This is not correct, though, as the trials of the witches were conducted by the government. This shows the necessity to deal with this topic so correct historic information is available. A re-evaluation of the history books is overdue. Many of the accused in the witchcraft trials denied their guilt in spite of heavy torture but confessed their faith in God until their death. Their martyrdom should finally be acknowledged by the Churches. They should no longer be regarded as "sinners" but as "saints". Places of remembrance should give witness to their fate. The last victims of the witchcraft trials of Salem/ USA were exonerated in 2001. In Norway neither the government nor the Supreme Court have ever rehabilitated the victims of the witch hunts. But the victims of the Norwegian witch-hunts from 1578 to 1695 have now received a national memorial monument from a private sponsoring group in Nordnes in Bergen. The victims of the witchcraft trials should be given back their dignity as human beings and as Christians. Their plight is a warning example of the persecution of innocent people. Hartmut Hegeler was born in 1946. He is pastor in the Church District of Unna in the Church of Westphalia/ Germany. Since 1982 he is teaching the subject of religion in the Maerkische Vocational Training College in Unna. Questions of his students about the persecution of witches were the impulse for his studies on this subject.